We Provide The Very Best Carpet Cleaning Midlothian VA and The Surrounfding Richmond Area. Looking for a Professional Carpet Cleaner Near You in Midlothian VA? Then we are your number one choice. With years of hands on, professional experience, True Steam not only offers the very best in Midlothian Carpet Cleaning, we also offer services such as Tile Cleaning Midlothian, Area Rug Cleaning Midlothian, Upholstery cleaning, Auto Upholstery cleaning and Pet Odor Removal. To ensure top quality and serve the Richmond Area as efficiently as possible, we recently teamed up with Home Advisor, passing their screening process and we are now a 5 Star certified approved company. To find out what some of our customers have had to say, simply read the right hand column of this page that highlights just a few of our customers experiences. Not only do we offer Area Rug Cleaning in Midlothian, we also now offer FREE pickup and delivery of all Area Rugs within a 20 mile radius of Richmond City. Take a load off your mind and let us stop by, pickup your rug, and leave you knowing that your rug is in the best hands possible. Our off site treatment facility is large and heated, giving us the best environment to clean carpet in. We have you covered. Cleaning Tile and Grout lines can be very tough, not to mention back breaking and time consuming. At True Steam LLC we have all the equipment necessary to Professionally Clean Tile and Grout, and leave you with a floor that looks like new. Our Truck Mounted Cleaning System produces lots of power and heat to effectively penetrate those deep layers of dirt and grime. We also have a wide range of cleaning solutions to tackle any problem we face, and we have the experience and knowledge to recognize a problem before it arises. Searching for the right Carpet Cleaning Midlothian VA can be tricky? Don’t let the other ‘fly by the night’ cleaners fool you with their low prices and hidden fees. Here at True Steam LLC we stand behind our work and our FAIR prices. 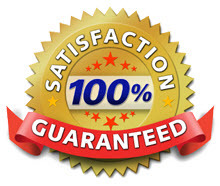 We offer a 30-day guarantee on every cleaning that we do, ensuring that every single one of our customers is satisfied. We will leave you with carpets that are almost dry, typically drying within 2-6 hours depending on outside factors. We can provide these exceptionally quick drying times due to our supremely powerful equipment, our hands on approach to getting the carpets dry with the use of air movers, and our attention to detail while we clean. We are proud to serve the Richmond VA area and hope that you, the residents of Midlothian VA will choose us as your number one Professional Cleaning Service. Give us a call or text us today at (804) 298 0287 for a FREE, no obligation quote. Don’t forget to ask about our Preferred Customer Discount.